I have to be honest I don’t really care about organic food. I don’t care whether my cow was grass fed, on a Paleo diet or whether it worked out every day. All I care about is whether something taste good. If a delicious meal is achieved via organic ingredients – great. 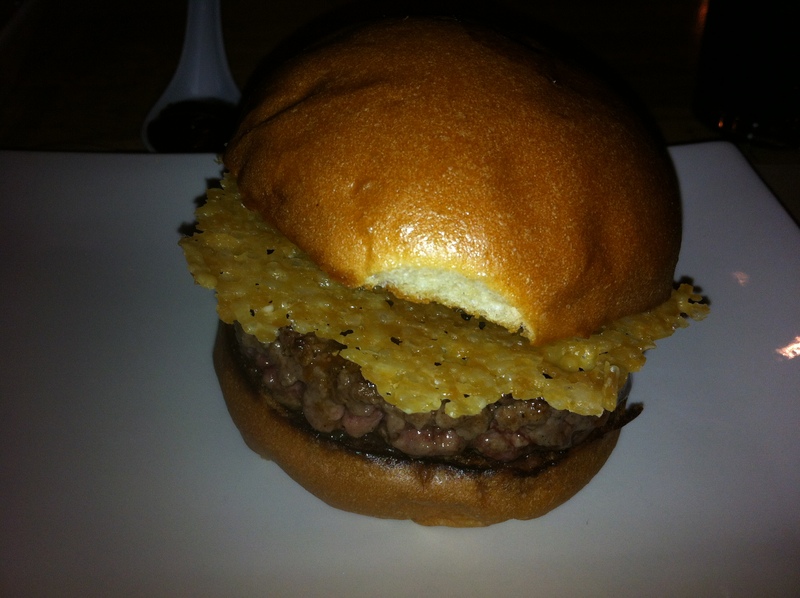 Recently, I went to Umami Burger, a concept restaurant that has come to San Francisco by way of Los Angeles. In case you were wondering, Umami isn’t just a funny word it is a Japanese for pleasant and savory and is known as the fifth taste. This burger bistro has a carefully curated menu that offers a few well-designed burgers made with natural and organic ingredients. (Perfect for the health conscious hipsters.) I decided to go with the namesake burger, which starts with a beef patty made from Wagyu Angus blend done in house. I ordered my burger medium rare, so it was nice and juicy and still pink in the middle. The patty was stout, well seasoned and possessed a nice pure beef taste. The meat was then topped with shiitake mushroom, caramelized onions, roasted tomato, Parmesan crisp and its house made umami ketchup (made with organic MSG). All sandwiched between Portuguese-style bun that is branded with the restaurant’s logo. The flavors are a perfect marriage, and the sweet caramelized onions and roasted tomato are nice complement to the savory beef. The Parmesan crisp adds a nice crunch to the burger and is a unique alternative to the typical melted cheese. Behind every good burger is a good side. And they had me at cheesy tots. 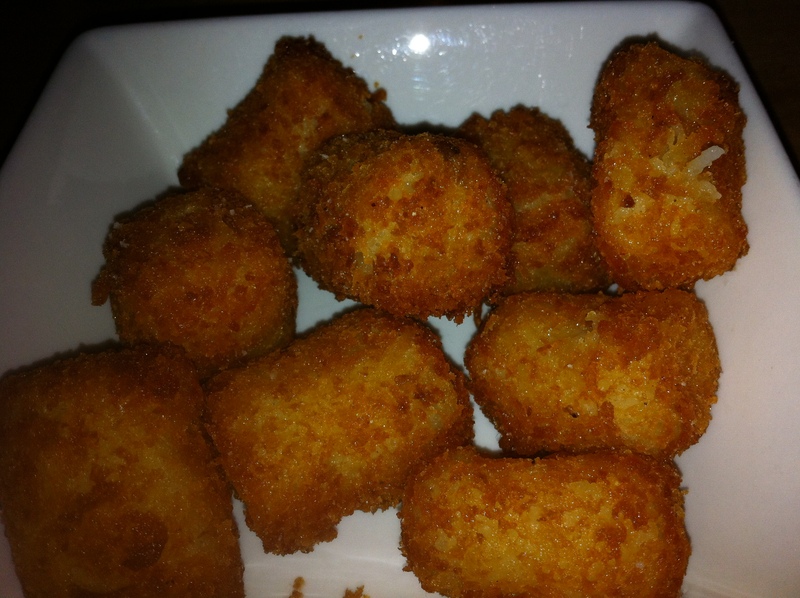 These aren’t the tots you remember from the school cafeteria. Umami’s tots are crisp and golden brown on the outside and have a soft potato center with gooey cheese. 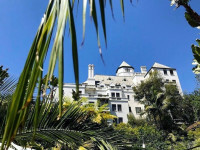 They are served along with its house made sauces like the Umami ketchup and jalapeño ranch. It would be easy to peg Umami Burger as just another fancy burger joint, but it is more than that. It is taking a thoughtful approach to burger making and in the process is challenging the status quo. I guess that is one point for organic.